Apart from his love for food, celebrity chef Gordon Ramsay is known for his Ferraris. He recently took delivery of a supercar. You guessed it, it’s a Ferrari. Gordon was handed over the keys to his brand new Ferrari 812 Superfast by H.R. Owen in London. The car is finished in a custom satin green paint job with a black stripe. The car rides on 10-spoke alloy wheels that are finished in gunmetal grey and has yellow brake calipers. Usually, Gordon specs his cars himself but this time, the guys at H.R. Owen configured it for him. The spec was kept a secret until the last moment. The Ferrari 812 Superfast was unveiled at the 2017 Geneva Motor Show. The car replaces the F12 Berlinetta and is powered by a 6.5-liter, naturally-aspirated V12 engine that produces 800 hp and 530 lb-ft of torque. Power goes to the rear wheels via a 7-speed dual-clutch transmission. 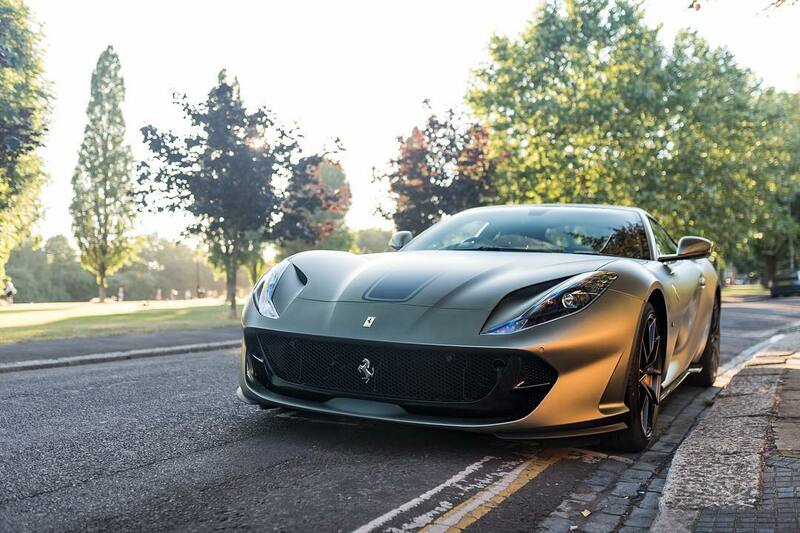 The 812 Superfast will do 0-62 mph in 2.9 seconds and has a top speed of 211 mph. Some of the other Ferraris in Gordon Ramsay’s garage include a white LaFerrari Aperta and a similarly spec’ed F12 tdf.